It's Lent. You hope your prayers this season will be fruitful. You need a miracle for a difficult situation. Your family member has what appears to be an impossible need. Your friend or co-worker is begging God for intervention. There is no better time than Lent to commit more fully to a praying life. Inspired by the film BREAKTHROUGH (coming to theaters this Easter), Ignatius Press invites you to experience FORTY DAYS of Breakthroughs through the personal stories of its authors and commentators, as well as many friends of the Press. Each day throughout Lent, Ignatius Press will deliver a personal anecdote right here from a well-known author or writer about a "Breakthrough" that has happened in their life. You will journey with them as they share how God has worked in their life over a situation that at one point seemed impossible. At the end of each story will be a prayer that you can offer to the Father (along with thousands of committed intercessors across the globe) asking for the help you need to reach your own Breakthrough. At the end of Lent, not only do we hope you will be blessed by this journey of hope and prayer, but you will also be able to see first-hand, on movie screens across the country, the true story of one family's impossible BREAKTHROUGH. See Breakthrough in Theaters Today! BREAKTHROUGH is a powerful movie about the remarkable impact of prayer based on the true story of one mother who literally prays her son back to life. 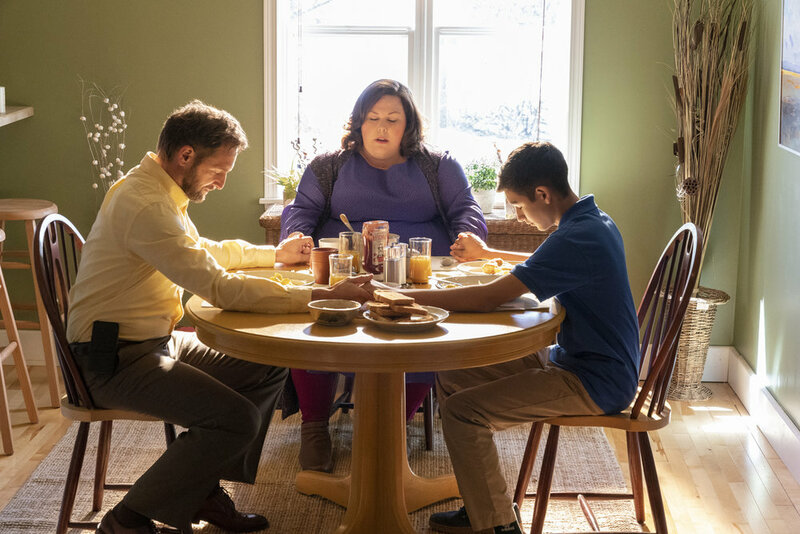 As Joyce Smith’s 14-year old son John lies lifeless after falling through an icy Missouri lake, Joyce, played by Chrissy Metz (This is Us), refuses to give up. As the Smith family struggles to get through this tragic accident, the entire community, school and church come together to pray, offer hope and provide hands-on support. Joyce’s steadfast belief and fervent prayer produce a miracle that flies in the face of every medical case history and scientific prediction. BREAKTHROUGH is an enthralling reminder that anything is possible when you trust in the Lord and persevere in prayer. We hope that you will be blessed this Lent through this Breakthrough experience. Holy Spirit, breathe life back into my life. In the mighty name of Jesus, Amen! If you prayed this prayer, life is being restored in you right now. Your breakthrough is on the way!